Researchers from Cambridge University have reportedly pinpointed the oldest solar eclipse ever recorded, dating back to 30 October 1207 B.C., which is also mentioned in the Bible in the book of Joshua. "Using a combination of the biblical text and an ancient Egyptian text, the researchers were then able to refine the dates of the Egyptian pharaohs, in particular the dates of the reign of Ramesses the Great," the University of Cambridge said on Monday, adding that the results have been published in the Royal Astronomical Society journal Astronomy & Geophysics. Professor Sir Colin Humphreys from the University of Cambridge's Department of Materials Science & Metallurgy, said that the Bible offers strong clues relating to the astronomical event in question. The book of Joshua chronicles the Israeli leader taking the people of Israel into Canaan, a region of the ancient Near East, in which he prayed and saw the sun stand still in the midst of battle. Joshua 10:13 reads: "And the sun stood still, and the moon stayed, until the nation had avenged themselves of their enemies. Is not this written in the book of Jashar? And the sun stayed in the midst of Heaven, and hasted not to go down about a whole day." Humphreys, who is also a Fellow of Selwyn College, pointed out that the King James Bible translation of 1611 interprets the text to mean that the sun and moon stopped moving. "But going back to the original Hebrew text, we determined that an alternative meaning could be that the sun and moon just stopped doing what they normally do: they stopped shining," he explained. "In this context, the Hebrew words could be referring to a solar eclipse, when the moon passes between the earth and the sun, and the sun appears to stop shining. This interpretation is supported by the fact that the Hebrew word translated 'stand still' has the same root as a Babylonian word used in ancient astronomical texts to describe eclipses." The Cambridge article points out that earlier historians have used the biblical text alongside Egyptian text dating from the reign of the Pharaoh Merneptah, which presents evidence that the Israelites were in Canaan between 1500 and 1050 BC, to try and date the possible eclipse. The historians were unsuccessful, however, as they had been looking only for total eclipses. "What the earlier historians failed to consider was that it was instead an annular eclipse, in which the moon passes directly in front of the sun, but is too far away to cover the disc completely, leading to the characteristic 'ring of fire' appearance. In the ancient world, the same word was used for both total and annular eclipses," it explains. Humphreys said that researchers have since developed a new eclipse code, which takes into account variations in the Earth's rotation over time. "From their calculations, they determined that the only annular eclipse visible from Canaan between 1500 and 1050 BC was on 30 October 1207 BC, in the afternoon," the article continued. "If their arguments are accepted, it would not only be the oldest solar eclipse yet recorded, it would also enable researchers to date the reigns of Ramesses the Great and his son Merneptah to within a year." Besides the date of the oldest eclipse recorded, the new calculations could also lead researchers to date the reigns of pharaohs more precisely. An Israeli research team suggested back in January a scientific explanation for the biblical episode in 1207 B.C. involving Joshua and the sun standing still. 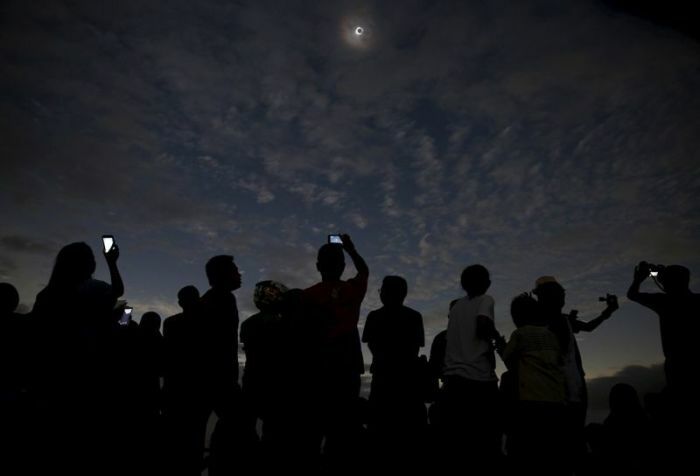 Hezi Yitzchak, Daniel Weistaub, and Uzi Avneer of Ben Gurion University in Israel's Negev addressed previous challenges when it comes to aligning the solar eclipse and the biblical account, given the fact that during an eclipse, the sun disappears, rather than visibly lingering in the sky. The researchers turned to Hebrew etymology to resolve the contradiction, however, and pointed out that the word "dom," translated as "stand still" in the passage, actually means to "become dark," which would fit right in with the characteristics of an eclipse. Others, such as Stephen Bridge, director of the Garden Tomb in Jerusalem and a retired minister from England, have suggested that descriptions of day-time darkness in the Bible, such as during Joshua's battle and the three hours of darkness that fell at Jesus' crucifixion, may not actually have been eclipses. "Whatever the darkness was it wasn't an eclipse and we have no explanation of what it was or even what it meant, but it certainly would have invoked in the people who were there a profound sense of something monumental happening, which indeed it was," Bridge said in a CBN News article from August.